Why do we cough when we have colds and various diseases? Cough is a protective reaction of the body to germs, phlegm, mucus, it is necessary to get rid of all of this. Cough can be allergic, or a reaction to a foreign body, but most often it is a symptom of diseases of the lungs and upper respiratory tract. To treat such well cough the distracting methods of treatment can be helpful: hot drink, rubbing ointments, compresses, foot baths, mustard plasters. It is necessary to treat the reason of cough instead of just getting rid of an unpleasant symptom. Of course, it is recommended to consult a doctor but there are recipes of traditional medicine and many people know by their own experience how effective they are. It often happens that the treatment methods offered by official medicine does not help but the folk remedies quickly cope with the most difficult and contagious diseases. 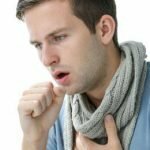 Here we are going to tell you about efficient remedies which can be used for getting rid of cough without spending much money buying medicine from the drugstore. One more benefit of such remedies is that they are completely natural which is also very important. Syrup is a good and at the same time an inexpensive remedy for dry cough that irritates the throat and bronchi. Even the smallest patients will like how it tastes, as a part of syrup is always some sugar or honey. add starch (flour) (1 tsp). remove the cloves in the morning. Important: Eat 1 teaspoon of clove honey every few hours. Myrtle is not only a tree which is sacred to all Christians. It is also a medicinal plant, which will help you in the treatment of cough in adults (children are not recommended to use drugs containing myrtle because it contains a fairly aggressive substances). 30 grams of pine buds. After boiling, boil the mixture for 15 minutes. Then, remove the pot from the heat and leave in a warm place for 24 hours. After this time passes, add the broth of the sugar and orange zest to taste. Then boil everything again for 15 minutes over low heat, stirring constantly. Strain and pour the syrup into a glass bottle. Drink one sip drugs from 4 to 8 times a day. It should be stored in a cool place. Important: Remember that treating cough folk remedies must continue for at least 2 weeks, even if all the unpleasant symptoms have gone. This will help you to avoid relapses and improve the immune system. With the onset of warm days, people increasingly suffer from colds. This is due to the fact that the weather is changing dramatically and after the winter many suffer from low immunity and lack of vitamins. If you are sick and you have started coughing – do not despair! With the help of this medicine you can quickly get rid of the problem. We offer you to get acquainted with one of the most effective methods against cough – garlic syrup. It is a proven means according to the old recipe. 3 tbsp. marshmallow root powder. Put the jar in the refrigerator and leave it for 24 hours, then strain through cheesecloth. Note: Take 1 teaspoon each hour. Important: This syrup helps with bronchitis, tracheitis, pharyngitis, laryngitis, because garlic has powerful antimicrobial and antibacterial properties and marshmallow root is an effective expectorant. Recall that the drugs on the basis of honey increase vitality, strengthen the immune system and restore the body. 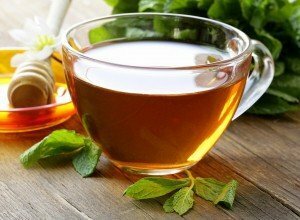 If you have tried cough syrup and haven’t got the desired effect, you can try one of the following recipes of various herbal teas and natural remedies based on products most part of which are available at the kitchen of any good hostess. 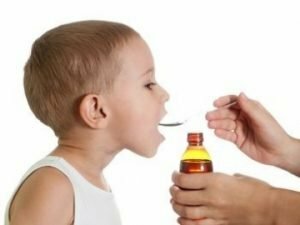 Here you will find the recipes of some cough medicines, which are fairly easy to prepare at home. Important: After this, strain the syrup and drink one sip every 2-3 hours. Onions and garlic have always been known as an effective means for many diseases. cook during 3 hours on low heat. Important: The resulting mixture should be drained, cooled and taken 1 tbsp 4-6 times a day in the form of heat. When the onions and garlic are soft, add honey (1 tablespoon) and stir. Important: The resulting mixture should be taken every hour (1 tablespoon) and already during the day you will notice that coughing and inflammation has been significantly reduced in the throat. rub it before going to bed in the neck and chest. Of course, this method is more appropriate for those who are using this treatment at home and not go to work with a cough, as the smell of onions is quite stable and it will be impossible to get rid of it during the treatment. Important: If you will be able to eat at least a teaspoon of the mixture before going to bed, it will be great, but not everybody can withstand its taste. Mix them and brew 1 tablespoon in a cup of the boiling water as a tea. Important: It is recommended to drink this mix 3-4 times a day. In chronic cough it is good to use nettle boiled in the sugar syrup. carefully chop and boil both of them in the sugar syrup. Important: Take 1 tbsp of this homemade cough syrup 2-3 times per day. In case of having coughing it is useful to drink the infusion of bran. Drink the whole portion during the day. Important: This procedure can be repeated the next day. This herb also helps in diseases of the respiratory system. Important: In the morning, strain the infusion and take in small portions throughout the day. The next day take 1 cup 4 times a day. It happens that patients have sputum with the blood – this is a very alarming sign that requires immediate treatment. Healers in this case appoint an elixir made of fir cones. to pour 50 grams of honey. Important: After 6 hours, strain the elixir and take half a cup 5 times a day. Important: drink this delicious drink as often as possible. pour 100 grams of sugar and simmer for half an hour being covered. Important: it is recommended to drink a small sip of syrup 5-6 times per day to get the desired effect. Mix all ingredients in a bowl of the glass, put it on a steam bath and bring the mixture to a temperature of 45-50 degrees. Then cool and eat 1 tablespoon before each meal. Important: Also while having cough, it is necessary to rub the chest with the badger fat and then and to go to bed covered with a blanket. While having a cold young patients are often subject to the gratuitous whims and may refuse drinking the prescribed medication. In this case it is necessary to offer them a tasty drug for the treatment of cough at home. The kid won’t be able to refuse to take cough medicine made from figs, bananas or honey. Prepare one cup of milk, which is poured 2 – 3 fruit. Boil the milk on low heat until brown. It is necessary to drink not only the milk itself, but also to eat boiled figs. If you are using dried fruit, pre-soften them in warm water. Important: It is recommended to use figs with milk from cough between meals, 2 – 3 times a day. In case of having high temperatures it is not recommended to use hot treatments, but at normal temperature the chest can be warmed with the help of boiled potatoes. Welded hot potatoes must be quickly chopped, put in a tight plastic bag, wrapped into the bag in a thin towel and put on the chest. Go to bed, take cover and lie down for an hour. When the potatoes are cooled, remove it and try to lie still for half an hour or an hour. By the way, the hot mashed potatoes with fatty milk, if you eat it and lay down under a blanket also helps to relieve cough – so it is necessary to use potatoes in a complex way. Important: Carefully wash down the mix with milk. Dilute banana with hot water. Important: Do not offer the child more than two mashed bananas a day due to the high fiber content. Broth onion peel will help to get rid of cough. It is enough to take the shells of 10 onions, pour boiling water (1 liter) and cook over medium heat. When the water boils away half, it is necessary to remove the broth, cool and drain it. It is recommended to drink with honey 2-3 times a day for 2/3 cup, while the cough will not retreat. When you have bronchitis cough passes very quickly, if you drink a sweet syrup, cooked from onion with shell. Two unpeeled onions should be well washed. Drop them into the boiling sugar water (1 liter of water and a glass of sugar). Cook for 50 minutes over low heat, then remove the onion, and the resulting syrup should be drunk in the form of hot drink: adults can take 3-4 cups per day, children are allowed to use only 50 ml. 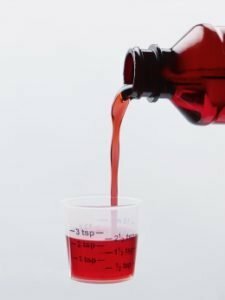 A few days later the cough usually disappears after taking the homemade cough syrup. 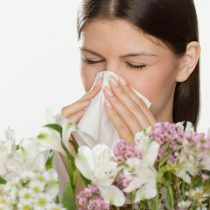 If the cough is very strong, it is necessary to boil 0.5 liters of milk 2-3 chopped onions and garlic head. Cook for 10 minutes, then knead, add honey (2 tablespoons), and take 1 tbsp 5 times a day, in the form of heat. Amazing cough medicine, which hardly can be heard from the doctor (except from very attentive), is prepared on the basis of egg yolk. Boil milk (1 cup), add honey and butter (1 tbsp), baking soda on the tip of a knife and raw egg yolk, previously beaten to a froth. To whisk yolks easier, it is possible to add a couple of drops of hot water. All ingredients are added to the milk while it is still on fire, stir quickly and remove it. This medicine is prepared quickly and helps even in strong, “barking” cough – with tracheitis, laryngitis and bronchitis. Cook it several times a day and take in the form of the hot drink. Chronic cough can be successfully treated with decoction of mallow – this plant is common in Europe, including in the European part of Russia. It is necessary to take some mallow rhizomes and weld them in milk (0.5 L) for 15 minutes. The broth should be drunk several times a day ( 1 coffee cup). With a strong cough it is necessary to drink a decoction of walnut and elderberry. Elderberries (1 tablespoon) and 4 nuts directly in the shell are boiled in 0.5 liters of water, then add 1 tbsp of honey. Strain broth and drink 1 tbsp 3 times a day. In old cough a mixture of flour helps. You will need: vegetable oil, dry mustard, honey (all in 1 tbsp) and vodka (1.5 tablespoons). The ingredients are mixed and heated in a water bath. This mixture is not intended to be used internally and make wraps of it for several days. The preparation is as sticky dough – it should be put on gauze, then apply it to the chest, the top should be covered with plastic or parchment paper, and wrapped with a warm scarf. It is more convenient to do it at night. Quite tasty may seem the Brazilian cough medicine made from bananas. Try this remedy: Take 2 ripe banana, rub through a sieve, put in a pan with hot water (a glass of water with 1 teaspoon of sugar. Heat the mix. When the mixture is heated up, it is drunk in small portions throughout the day. Regular carrots help to get rid of the cough quickly: medium-sized carrot should be rubbed on a fine grater, pour a glass of hot milk, infuse it for 20 minutes. Drink it before the bedtime. During 3 days this method is going to help to significantly reduce the cough, and even completely get rid of it. And finally, a very simple means, which is usually forgotten as it is easy and safe. It is dried sugar. We used to use cough potent agents, especially pharmacies, and forgot that as a child many of us loved sugar candies. It is necessary to take a small frying pan, pour a little sugar to melt and until it will darken – but not too much, otherwise it will be bitter. The resulting solid pieces can dissolve under the tongue or dissolve in warm water and drink. It helps, even with dry cough that does not give sleep at night and does not cause side effects. 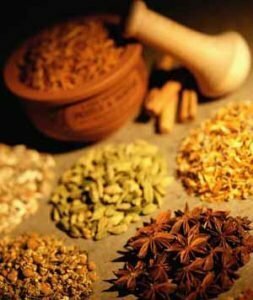 Some recipes of traditional medicine are very tasty and some are not much, but they are always effective, they should only be used patiently and regularly. Important: However, this does not mean that it is necessary to self-medicate without seeing a doctor at all as only a specialist can examine you and define the reason of your cough. 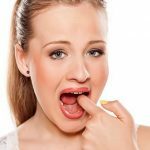 How to get rid of canker sores more than 10 effective methods for adults and kids!